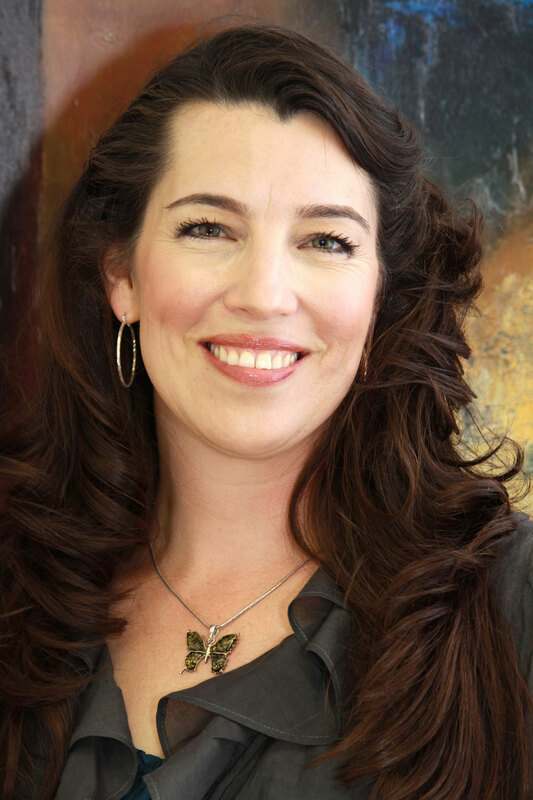 Melissa Copp resides in Waco, Texas and is the Founder and Executive Director of the Raising Wheels™ Foundation. After receiving her business degree from Texas A&M University in 2001 and her Masters in Legal Studies from Texas State University in 2006, she traded in big city life in Austin to the slower paced town of Waco, Texas. She moved there with her husband in hopes of starting a family. Their first son, Calan, arrived in August of 2008, but parenthood came with a slew of hardships including developmental delays, genetic testing, brain scans, specialists, and countless other issues. All the while battling these hardships and moving along without a diagnosis, they welcomed a second son, Lawson, in March of 2012. Life repeated itself and their world was thrown once again into the revolving door of specialists after Lawson demonstrated similar symptoms. In April 2015, both boys were diagnosed with a rare Mitochondrial condition that has only 7 confirmed cases in the world and no cure or treatment plan. 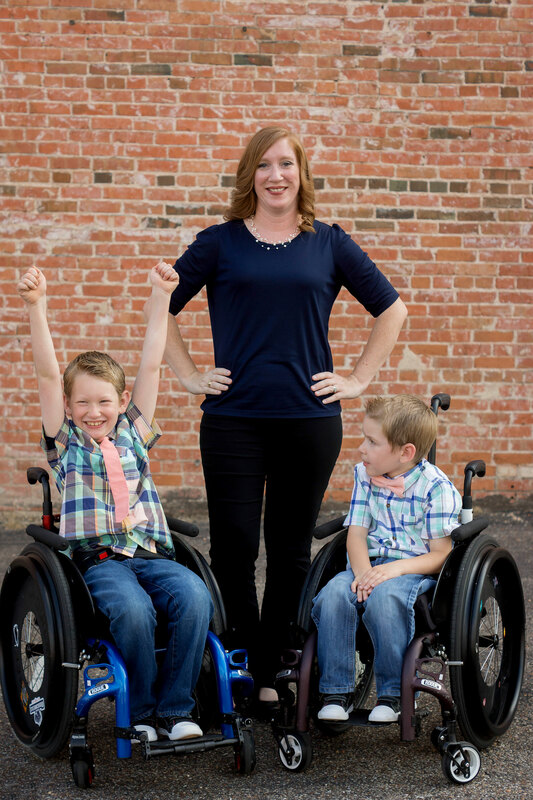 Although raising two differently abled sons has its challenges, Melissa has focused on the beauty that is RAISING WHEELS and has dedicated herself to advocating for the differently abled community and championing for change for better accessibility in homes and public places. Her love and passion for her boys on wheels led her to focus on the need for a 100% Accessible home and in January 2018, her and her family were featured on Season 5 of HGTV’s “Fixer Upper.” They were gifted a fully renovated home their differently abled boys could finally grow in. Melissa used that life changing event as motivation to establish the Raising Wheels™ Foundation which helps provide resources to families raising differently abled children. Jody Copp resides in Waco, Texas and serves as the Program Manager and Treasurer of the Raising Wheels™ Foundation. Jody received a BS in Agricultural Economics from Texas A&M University in 1999 and has spent the better part of the last 20 years in private or public purchasing. He is married to Melissa Copp and is the proud Daddy of Calan and Lawson. 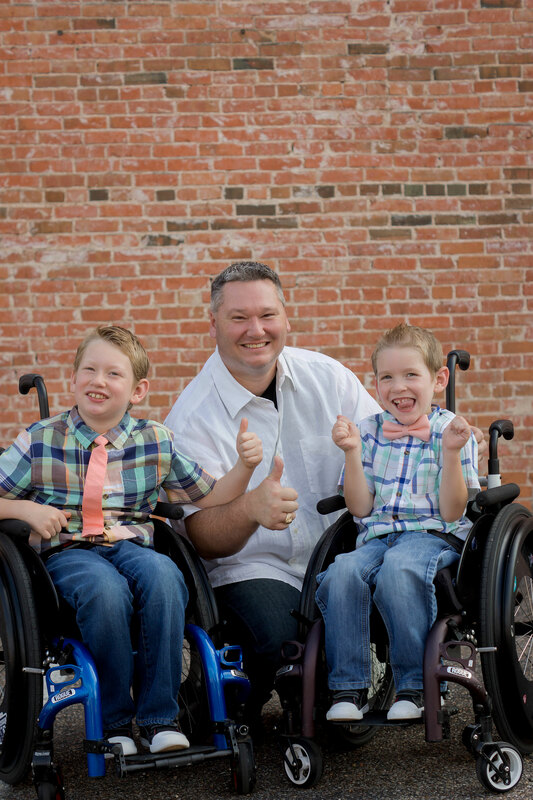 Having never been around differently abled children, having sons Calan and Lawson has opened his eyes to a whole new world and he has humbly met the challenge of raising two children with special needs. He has taken an active role in their lives by volunteering to coach in multiple adaptive sports leagues and enjoys going to various adaptive events to broaden both his and the boys’ experiences. These events allow him to see where small changes can be made that can help the masses and has allowed him to grow into an advocate for the differently abled community. In order to meet the needs of their family and focus on running the various programs of the Raising Wheels™ Foundation, Jody left the public sector in May of 2018. He is now the primary caretaker for his two medically fragile children, thus allowing more time to assist with all the exciting programs through the Raising Wheels™ Foundation. Janice lives in Austin, Texas with her husband, Rick, and their three boys. Janice is a Certified Public Accountant with her accounting degree from The University of Texas and serves as a Program Manager of the Raising Wheels™ Foundation. She worked in the corporate world until her first born son, Connor, was diagnosed with cerebral palsy at 6 months of age in 1999. She quickly took action as his advocate, so Connor could have the basic resources he needed for every day life. In May 2002, they welcomed another son, Brice. The life she knew of constant hardships and uncertainty seemed to pause momentarily when Brice was born because she felt some of the relief set in after finding out that Brice was typically developing. The desire to create a supportive environment for not just her differently abled son, but also for her family led her to form a business in 2005 with another mom called “Wheels of Fun,” which provides happiness through custom wheelchair covers. Bringing joy to others, one wheelchair at a time, made life a little more bearable through the hardships she faced raising Connor. Several years later, they received the shock of their lives when Janice became pregnant with their third son, Isaac, at the age of 46. With a <1% chance of conception, this baby was meant to be part of this world. During a routine ultrasound, the doctor noticed something that prompted them to see a specialist to make sure the baby was developing properly. The specialist noticed a small hole in the wall of Issac’s heart and some fluid buildup around the heart, but prayed daily for it to resolve itself. Sweet Issac was born at 36 weeks and by God’s grace, both the hole and the fluid issues completely resolved themselves. However, they would soon be met with one of the most challenging but rewarding situations God has given them…raising a child with Down Syndrome. Through it all, Janice and her husband triumph over these tragedies and are thankful for the many blessings they have been given. One of the blessings is their love for the differently abled community, and also the future to serve through the Raising Wheels™ Foundation. 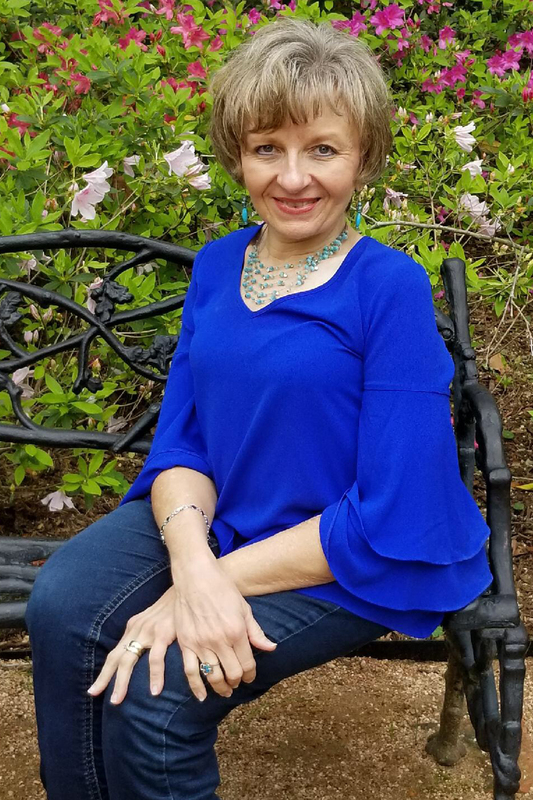 Katrina Reeves lives in Waco, Texas with her husband of 21 years and two children and serves as the Secretary of the Raising Wheels™ Foundation. She has a Masters Degree in Special Education and has been an educator for students with various disabilities for the past 8 years. 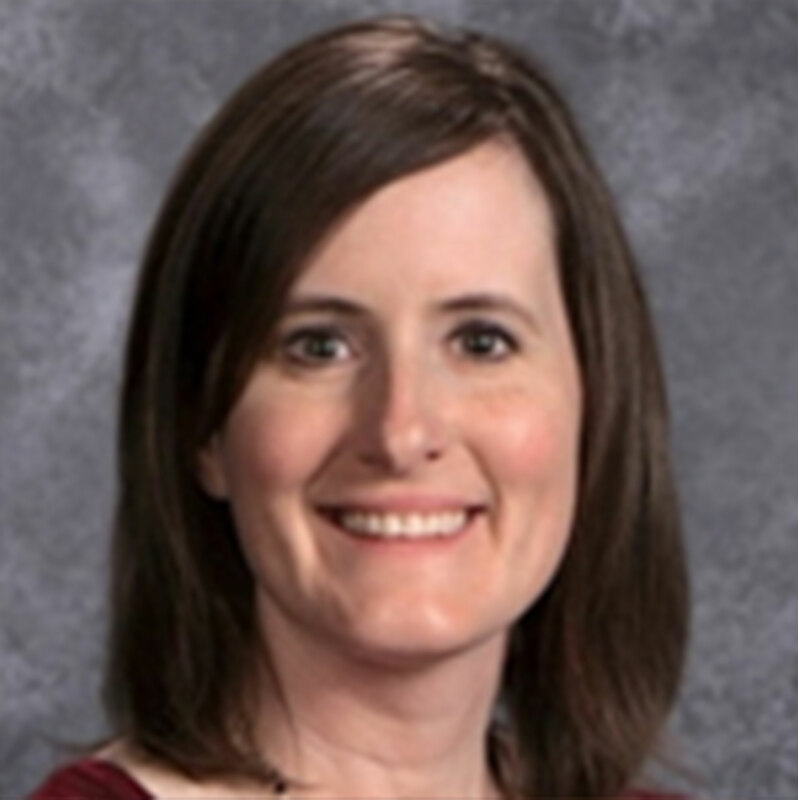 Katrina is passionate about teaching, advocating and loving on her students and their families. Her greatest passion is inclusion, not only in the educational setting, but in the community as well. She believes that all people, regardless of their abilities should be given the same opportunities in every setting. She is dedicated to raising awareness for this cause. Mandi Barnes is a native of Lorena, Texas and lives in Waco. 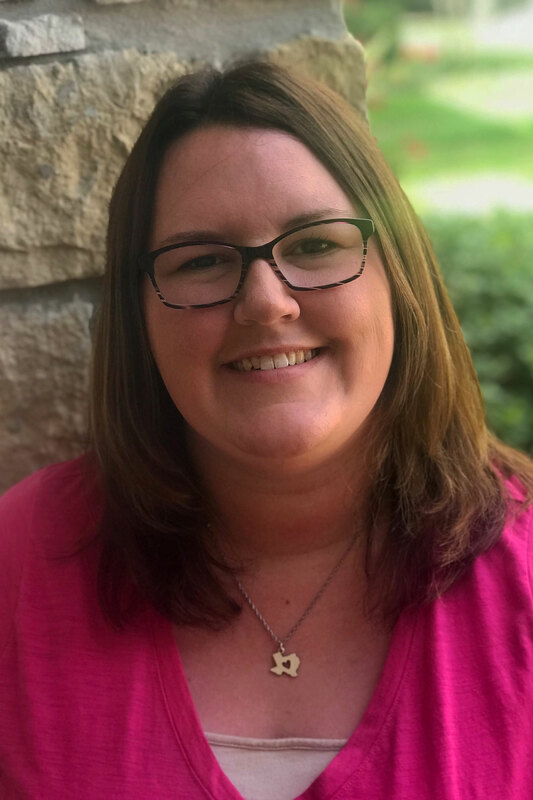 She has a Bachelor’s Degree in Special Education and a Master’s Degree in School Psychology from Baylor, and she is beginning her tenth year as a Licensed Specialist in School Psychology for a local school district. Mandi has always loved volunteering and reaching those in need. She has been a coach and buddy for the Challenger Baseball League for over 20 years. She also can be found visiting nursing homes, schools, and libraries with her two therapy dogs, Remington and Anna, and is a member of the Angel Paws pet therapy group. She believes everyone deserves love, understanding, and equal opportunity no matter their ability or background. Melanie Davis resides in Montgomery, Texas an is an advisor for the Raising Wheels Foundation. After suffering the loss of her seven-month daughter, Brynn, to SIDS, Melanie found healing and purpose by sharing her story with those who could be encouraged and inspired by the wisdom and purpose she found in her daughter’s death. She developed The Triumph Program to assist others to discover, write and share their own Triumph Stories and went on to become the founder of Triumph Press. She is the publisher of The Funding Guide for Children with Disabilities and attended many Abilities Expos around the country, helping people with their fundraising plans. At the 2016 Houston Abilities Expo she met the Copp Family and they developed a strong connection. From this meeting, they decided to create a platform to connect with parents of uniquely-abled children, assisting them to discover life-changing products and lift one another. Dr. Jo Ann Formby is a licensed psychologist who lives and practices in Houston, Texas. As a psychologist Jo Ann has helped many people along their life journey, including many individuals who have physical challenges and chronic illnesses. She has been actively involved in supporting and working with the differently abled community as a volunteer in many organizations. Currently she enjoys serving as a helper in Treasures, the special needs department at her church. Jo Ann is particularly excited and thankful to be an Advisor to the Raising Wheels Foundation because she is very familiar with the challenges of accessibility herself. As a woman born with a rare congenital bone condition, Osteogenesis Imperfecta, Jo Ann faces challenges of wheelchair accessibility at home, at work, and in the community in general. From her experiences throughout life, she knows firsthand the value of independence and the ability to enjoy home and the world more fully, despite physical challenges. 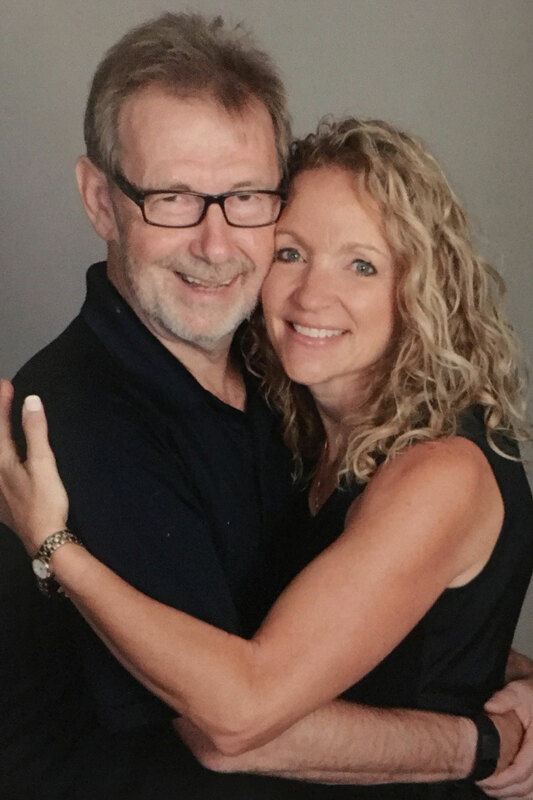 Jo Ann learned how to persevere from her parents whose hearts were devoted to making life accessible and full for those with physical challenges. She is passionate about improving the lives and opportunities of those with mobility and health challenges and looks forward to working on accessibility focused initiatives to help others raising differently abled children.